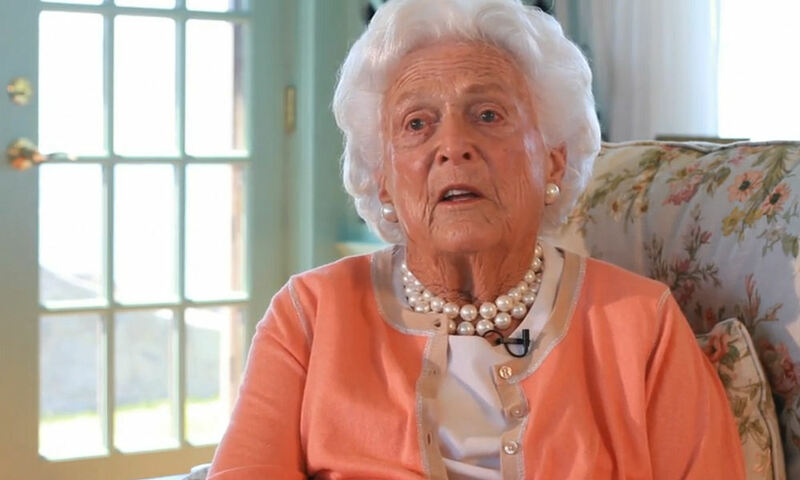 Former U.S. First Lady Barbara Bush, the wife of former President George H. W. Bush, is in failing health and has decided not to seek additional medical treatment, her spokesman said on Sunday. The nature of her current health problems were not immediately disclosed, but the former first lady, who is now 92 years old, has been hospitalized a number of times over the past few years. CNN, quoting a source close to the family, reported that Bush is suffering from Chronic Obstructive Pulmonary Disease (COPD), which makes it difficult to breathe, and congestive heart failure. She was also diagnosed with Graves’ disease in the 1980s. Bush was admitted to Houston Methodist Hospital on March 30 when she was suffering from shortness of breath, the source told CNN, adding that she was released about a week ago. Her condition has since deteriorated and she does not want to return to the hospital. Bush was First Lady from 1989 until 1993 while her husband, George H.W. Bush, served as President of the United States. She was also Second Lady from 1981 until 1989 while her husband served as vice president in Ronald Reagan’s administration. Bush is also the mother of George W. Bush, who served as president from 2001 until 2009, and Jeb Bush, the former governor of Florida who ran for president in 2016. The Bushes, who have been married for 73 years, also have 4 other children. Driven by her passion for reading, Bush dedicated her post-White House life to the cause of literacy. If more people could read or write, “we could be much closer to solving so many other problems that our country faces,” she once said.